Gadwal District with Mandals in Telangana State, Gadwal District, Gadwal Palace, Gadwal Bird, Gadwal District, Gadwal Tourism: Gadwal district is situated in the Telangana state of India which is located on south side of India. It is located about 188 kilometers with an area of 105.2 square kilometers. Before it was not a part of Telangana, but later somehow Telangana got this place within the district. There are some beautiful old temples, dams, Fort, etc are present in gadwal district. So tourist gets attracted here by these beauties present in this district. Gadwal is famous for its handloom saree. Mainly the saree consists of a cotton body with silk pallu. Gadwal district has an elevation of 325 meters. Gadwal district has good infrastructure like railway junction, river dam, roads, etc. 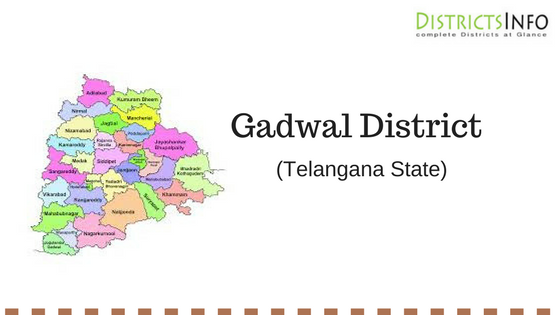 Gadwal district was having a population of 63,177 as of 2001 census. The population here is 51% of male and 49% of female. Gadwal district has a railway station which is well connected by other cities and towns. Road transportation is also very great here as we can get buses easily for other places here. Also, this district a has solar energy plant which helps to produce electricity for the district. So the gadwal district is well maintained and beautiful too. Many tourists come here to visit some old temples and dams. As there are many beautiful places herein gadwal district. 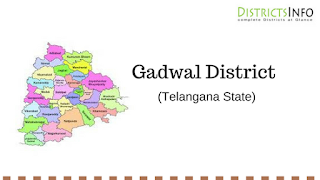 Just see more details about Gadwal district here. District has 8 Mandals.